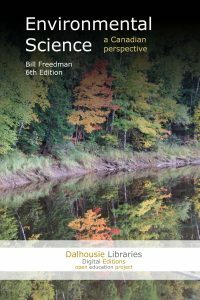 On Thursday, January 10, the Dal Libraries is launching its first in-house produced open textbook, Environmental Science: A Canadian Perspective by renowned conservation biologist and Dalhousie faculty member Bill Freedman (1950–2015). “Thanks to George-Anne’s willingness to trust us with this project, we are now able to share Bill’s work with the world,” says Michael Moosberger, associate university librarian, archives, special Collections, and records Management; and university archivist. You are cordially invited to the launch of the Dalhousie Libraries’ first open textbook, Environmental Science: a Canadian Perspective by renowned conservation biologist Bill Freedman (1950–2015).